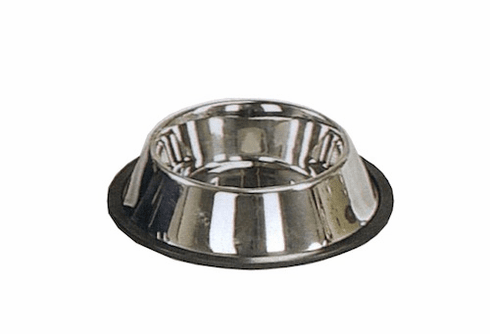 Dog food bowl with nonskid rubber trim lining. 7" x 3" Inside x 10" Base. Stainless Steel.